Home / News / Pinsan ni Sen. Drilon na si Mayor Jed Mabilog, kasama sa Narco-list! 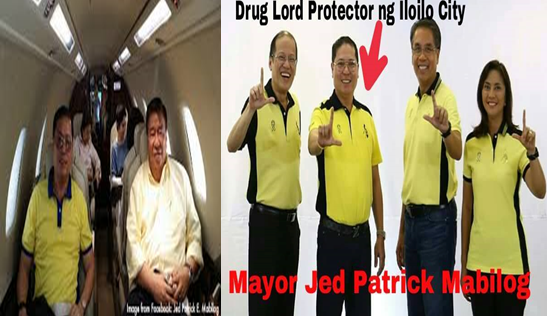 Pinsan ni Sen. Drilon na si Mayor Jed Mabilog, kasama sa Narco-list! Preesident Rodrigo Duterte mentioned Iloilo City Mayor Jed Mabilog in his narco list, including names of hundreds of officials all branches of government who are involed in the illegal drugs in the country. Mayor Mabilog was identified as a counsin of Liberal Party (LP) leader senator Franklin Drilon. Mabilog’s name was included in Duterte’s initial list of drug personalities. “Naay mayo tug mga siyudad. Ang usa diha ig-agaw pa ni Drilon. Si Mayor Mabilog sa Iloilo City, ug daghan pa (There are city mayors. One of them is a cousin of Drilon. He is Mayor Mabilog of Iloilo City. and more),” President Duterte said. President Duterte made his remark during the turnover rites of a drug rehabilitation facility in Davao del Norte. The President also named an elected official of Cebu as part of the drug list. “I’ve named him before, and I’ll name him again. Si Rama. Governor sa Cebu. Protektor eh,” Duterte said. President Duterte was referring to former Cebu City Mayor Michael Rama who recently denied the allegation.